Fulfilling her promise of releasing a few singles before the release of her Red album, Taylor Swift is up for the last one. Since Red is about to be released in less than a week, Camp Taylor Swift is busy marketing for the said album and this single did just that. The previous singles from same album has been a hit and miss as of late, but I can't deny this one's for the keeps. State of Grace is the very first track of the album. It is written by Taylor Swift herself and upon hearing the preview on Good Morning America I said to my self, "This is it!" I was blown away by the airy and epic feel of the song. Taylor Swift's soft spoken voice now feels so gigantic and grand. Never the less, the song lifts me up into a state of grace as if I have just gone through a spiritual awakening. To reiterate what Taylor said, the song is "about when you first fall in love with someone — the possibilities and kind of thinking about the different ways it could go." She also added, "It’s a really big sound to me, the sound to me is like the feeling of falling in love in an epic way." 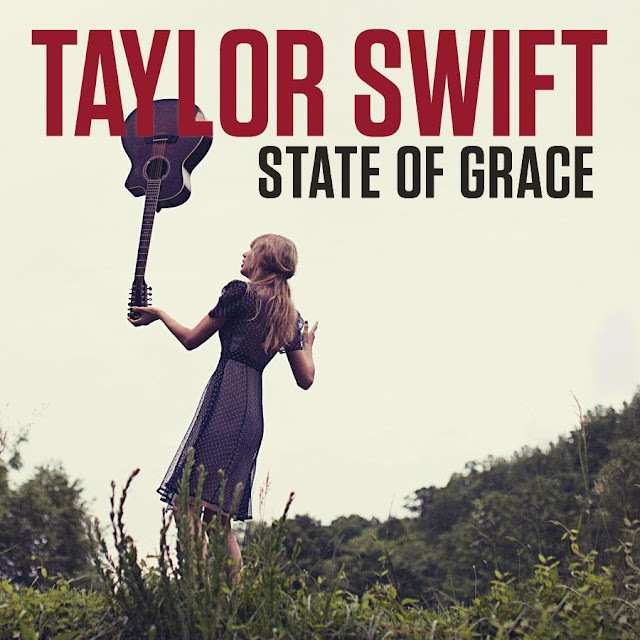 State of Grace is now available for download over iTunes.